We finally have some good news on the maintenance! Its taken a very long time for us to save up, pay for and set up our new system for the site (over 8 months to be exact) but its almost complete now! Today, over 50% of the new system was completed and is online and working great. You should of noticed today that a lot of the recent lag and strange glitches have gone, but it'll take us another few weeks to iron out EVERY glitch around the site again. The rest of the upgrade should be completed by Wednesday, which means that we may have a couple of hours of downtime this week to finish it off! But it will all be ready by the end of the week and you'll see less downtime, faster loading times, less glitches/errors and MORE news updates from us as we'll have SO much more time to work on new stuff! It's been a very busy few months for us to get this done and we hope you appreciate the long term results! The March Account Upgrades will be released within the next 24 hours! This means that you only have a few more hours to buy any of the Account Upgrades on sale as they are ALL retiring! This is how the new Troit pet looks as a zombie, mutant and in prison. To clear up any confusion over the Account Upgrades, there is just a couple more days left to buy any of the items on sale at the Account Upgrades page! EVERYTHING on there, excluding the Giftboxes, WILL retire. The new Troit pet is now avaliable in these 4 new costumes! The Lottery has been drawn for this week. crazysosa is the winner of the 978,400MP Jackpot with the winning numbers of 1, 3, 9, 15, 21 and 25! Congratulations! Last Week's Raffle has now ended. dave0408 is the winner of the Red DNA and 100,000MP prize with the winning raffle ticket number 19468! Congratulations! Make sure you buy your tickets for today's raffle - only 10MP per ticket! We'd like to apologise for the site being up and down and up and down for the past couple of weeks. We have been really really busy upgrading the site. It'll be another week or two before its completely finished but you'll really notice the difference when its finished - which should be in time for the Easter Egg Hunt! Although there will be lots of new news a lot more regular from now on, we won't be back to daily (or almost daily) news until the maintenance is finished! Thanks for your patience - and no, the site hasn't and will never be sold for those who like to start rumours! We have 3 brand new Costumes that are soon to be released! You'll find out within the next couple of days exactly where they are coming from but we do have an amazing March Account Upgrade set coming out soon and all of the Account Upgrades currently on sale at the upgrades page will retire! The Lottery has been drawn for this week. comanches_girl is the winner of the 1,341,100MP Jackpot with the winning numbers of 13, 20, 7, 11, 14 and 10! Congratulations! Last Week's Raffle has now ended. aquiamarine is the winner of the Red DNA and 100,000MP prize with the winning raffle ticket number 58567! Congratulations! Make sure you buy your tickets for today's raffle - only 10MP per ticket! The Lottery has been drawn for this week. TTREDDEVIL is the winner of the 1,256,800MP Jackpot with the winning numbers of 1, 2, 3, 25, 24 and 23! Congratulations! Last Week's Raffle has now ended. KoolSkool is the winner of the Red DNA and 100,000MP prize with the winning raffle ticket number 34597! Congratulations! Make sure you buy your tickets for today's raffle - only 10MP per ticket! These 50 new Photos are avaliable at the Photo Parlour in Lush Lake. If you have one of these pets, bring it alone to get its photo taken for you to resell or add to your Album! 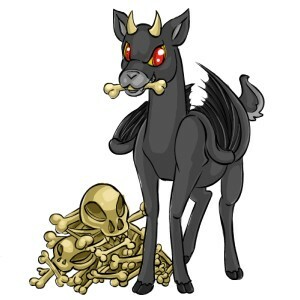 It wouldn't be Valentines Day without new Love Pets! Happy Valentine's Day to you all! For a limited time only, these new items are avaliable around the site! Some restock, some are on sale elsewhere, some are from random events, some are being donated at the Pot of Gold and the others you'll have to find yourself! They will retire within the next few weeks without any warning. The Stamps Shop is restocking 16 rare new stamps! Can you find the Rusty Twins and Glass avatars?? The Potion Shop is restocking 36 new potions! We have just released the new Mission Game in Gigantic Paradise. The Rubbish Dump The Rusty Twins live at the Rubbish Dump in Gigantic Paradise, scrounging for food. They are poor and hungry and will trade bones and canned food for some of the better items people throw out at the Rubbish Dump. If you do, you will move on to the next level. If not, you will fail and will have to start again. Completing this mission will get you a limited edition Rusty pet! There are 68 new random items restocking in all different shops around Marada. The Lottery has been drawn for this week. XKIZMET is the winner of the 1,127,500MP Jackpot with the winning numbers of 9, 8, 11, 6, 5 and 25! Congratulations! Last Week's Raffle has now ended. poohslittlepiglet is the winner of the Red DNA and 100,000MP prize with the winning raffle ticket number 35135! Congratulations! Make sure you buy your tickets for today's raffle - only 10MP per ticket! A few days later than planned, but to celebrate Chinese New Year we have released a new cd, costume, dvd, book and minipet that are restocking. The Snookle, Poera and Azul can now wear the Chinese Costume. The Stamps Shop is restocking 38 rare new stamps! We have just released a new Goals Game. At every level you have a new goal to complete related to Eleka's Castle. Each level gets harder to complete but you will receive a prize for completing each level. Unlike quest and mission games, you have unlimited amount of time to complete each goal level and you can only complete them once. New levels will always be added to the Goals in each world. Prizes include rare items only avaliable from goals, MP, BP, RP, Dukka Coins, Account Upgrade Credit and stats for your pets. The Eleka's Castle Goals is the third world to have goals and currently has 30 levels for you to complete. New levels will be added in the news to these goals all of the time, each with a brand new prize. The Eleka's Castle Goals have been added to the Eleka's Castle map. The Lottery has been drawn for this week. doglovergirl is the winner of the 923,200MP Jackpot with the winning numbers of 9, 12, 19, 23, 15 and 10! Congratulations! Last Week's Raffle has now ended. DebiJ is the winner of the Red DNA and 100,000MP prize with the winning raffle ticket number 32125! Congratulations! Make sure you buy your tickets for today's raffle - only 10MP per ticket! The Potion Shop is restocking 64 new potions! The Santa Claws quest games now also ask for Balloons, Flash Game Reward items and Murfin Madness Gift items! These missing Default Avatars have been released. The Toy Shop is restocking these rarity 28 collectable dolls! The Fast Food store is restocking 12 new rare foods! The Bakery is restocking 10 new items. 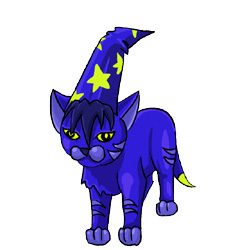 The Potion Shop is restocking 32 ultra rare Limited Edition Pet Potions! They are over rarity 30 and restock in the potion shop for you to buy... if you are lucky and fast enough! 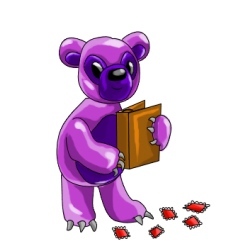 We have made more changes to the Restocking System on the site, editing rarities of items, the way certain shops restock and now certain rare items over rarity 20 will restock too! We have released over 200 NEW ITEMS that restock!